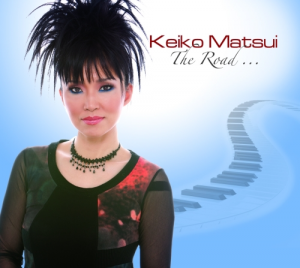 The Japanese American Cultural and Community Center presents Keiko Matsui with special guest Jeff Kashiwa at the Aratani Theatre, 244 S. San Pedro St. in Little Tokyo, on Saturday, May 25, at 7:30 p.m.
Matsui is a Japanese producer, contemporary jazz pianist and composer whose career spans three decades, during which time she has released more than 20 CDs (in addition to various compilations) and has received international acclaim. Matsui is a citizen of the world. She tours relentlessly and has brought her music to virtually every corner of the globe. Her music transcends boundary and her unique melting pot of musical influences have garnered her a devout international following. An activist by nature, Matsui has not only used her music to speak to the world but has also lent her voice to causes championed by organizations like the U.N. World Food Programme, the Be March Marrow Registry, and the National Donor Program and Marrow Foundation. With over 1.5 million albums sold and scores of sold-out concerts, Matsui is one of the brightest stars in instrumental music. Her free spirit and creative genius have afforded her the luxury to share the stage with everyone from Stevie Wonder and Miles Davis to Hugh Masakela and Bob James. 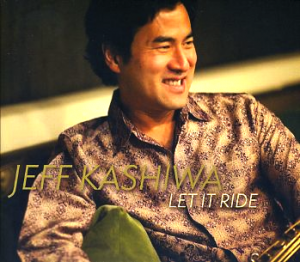 In 2011, Shanachie Entertainment released “The Road,” Matsui’s long-awaited, self-produced 22nd album released in the U.S.
Having established himself in the 1990s as one of the most diverse saxmen in contemporary jazz during his decade-long tenure with The Rippingtons, Kashiwa surprised many when he left the group to venture out on his own, but he had things to say through his own music. Kashiwa now has nine CDs released under his own name and has continued to record as a guest artist with many other artists. In 2004, he founded The Sax Pack, a trio of saxophone headliners, featuring himself, Steve Cole and Kim Waters. The group released two CDs and charmed audiences in tours across the U.S. and abroad. In 2006, Kashiwa reunited with The Rippingtons for their 20th anniversary tour, and he continues to record and tour with the group as often as his schedule will allow. In addition to touring with The Sax Pack, he has expanded his career to include music education, teaching various courses at Shoreline Community College in Seattle. His new CD, “Let It Ride,” features great musicians in the world of contemporary jazz: Russ Freeman, David Benoit, Chuck Loeb and Tom Schuman of Spyro Gyra. It has been in the top four best-sellers in smooth jazz on Amazon.com. Tickets are $40 and $50 general, $37 and $47 for JACCC members. Purchases can longer be made online; check with the box office. For more information, call (213) 628-2725.